This 2018 year-end market report covers sold activity only. There were a total of 16 condominiums reported sold in the Colony Green Condos Community in 2018. The community is located in Blossom Valley San Jose. 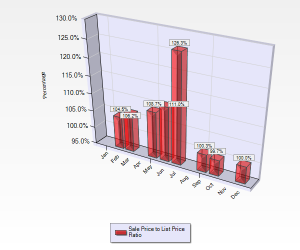 The data presented here was extracted from the local Multiple Listing Service (MLS) as of January 2, 2019. Listed below is the breakdown of the sold activity in the Colony Green Condo community located in Blossom Valley San Jose. “A Units” – There were 3 upstairs 2 bedrooms, 1 bathroom, 919 square feet condos sold. Sold prices ranged from a low of $530,000 and a high of $600,000. “B Units” – There were 2 lower 2 bedrooms, 1 bathroom, 942 square feet condos sold. Sold prices were $630,000 and a high of $615,000. “C Units” – There were 6 townhome style, 3 bedrooms, 1.5 bathrooms, 1,260 square feet condos sold. Sold prices ranged from a low of $675,000 and a high of $800,000. “D Units” – There were 3 townhome style, 2 bedrooms, 2.5 bathrooms, 1,294 square feet condos sold. Sold prices ranged from a low of $680,000 and a high of $714,000. Builder modified “D Unit” – There was 2 townhome style, 3 bedrooms, 2.5 bathrooms, 1,294 square feet condo sold. Sold prices were $687,500 and $820,000. The builder modified “D Unit” took place in the later phases of the 9 phase construction project. Both the original and modified “D Units” are end units sharing only one wall. The condos were built in 1984 making the condos 34 years old in 2018. As you can see from the chart there were no closed sales in January, April, August, and November. One condo which is not included in this report was sold at a trustee sale in August 2018. The owner had passed away in the middle of 2015. She had been my neighbor for over 17 years. Her family moved her out of the condo into a care home a year or so before she died. 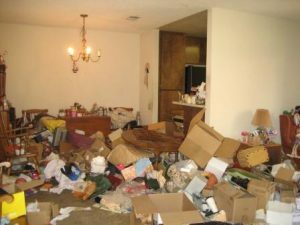 The condo was left abandoned for years. The management company and board members were unsuccessful in locating the deceased owner’s son. In loving memory of my neighbor, may she rest in peace. I’d bet this is not the legacy she intended her family to leave behind. We lost two other homeowners that I am aware of in 2018. They were also my neighbors. Blossom Valley is in South San Jose. The two primary Blossom Valley San Jose zip codes are 95123 and 95136. Are you looking for Blossom Valley San Jose homes for sale? If so, contact us. We can help. 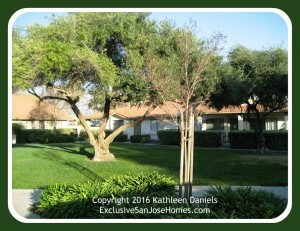 If Blossom Valley San Jose is not the best fit for you then search condos for sale in San Jose. Are you considering selling your Colony Green condo and want to know your home value? Give me a call at 408-972-1822. I’ll share my documented approach to getting homes sold quickly, for top dollar, and netting sellers more money! No one knows the community better. I am an original owner … and I live here.